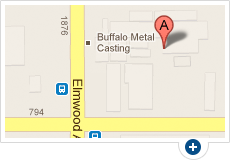 Buffalo Metal Casting is a single-source supplier of aluminum castings and parts. Every part of our process is performed in-house when creating your parts, meaning you can be assured of the quality when you work with us. We use a wide variety of sand casting methods to create your aluminum sand cast part. Our products are made as cost-effectively and as efficiently as possible. The following are the methods available to choose from when creating your aluminum casting. Permanent Mold: A casting process that uses a reusable mold made of metal to cast parts. Green Sand Aluminum Casting: A process best for small to medium castings that uses molds made from sand, clay, flour and water, which is reusable. Aluminum Casting Using No-Bake Sand: A method best for medium to large size parts, that employs sand, resin, and hardening catalysts to create molds, creating a better surface finish on castings. 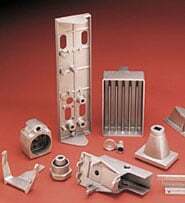 Precision Shell Sand for Aluminum Casting: Another process for small to medium parts, however this process uses a non-reusable sand that is blown onto preheated iron patterns to create molds. Harrison Flaskless Matchplate Mold Machine: This is a mold creating machine that employs the green sand method. If you're in search of the best company to create your aluminum casting, contact Buffalo Metal Casting first. We'll create your part efficiently and affordably. Call us today, or click below to request your free quote.